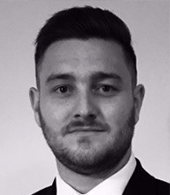 Nick heads up the Automation division at Mackenzie Stuart and specialises in recruiting various mid-senior level placements across; Commercial, Operations, Engineering and Technical positions. From joining the organisation in mid-2016, Nick has been promoted twice to reach head of the Automation Sector. Throughout this time, he has built and maintained personal relationships with global leading organisations within the Automation industry. Nick prides himself on providing excellent services to the industry which regularly generates repeat business. With global responsibility for the Automation division, Nick manages an industry specific team comprising of senior consultants & researchers, who work together to provide bespoke solutions for our clients. Specialising in retained assignments, the team represent and head-hunt the best talent across Europe, Americas, Middle East and Africa and Asia. Originally from London, Nick attended Dulwich College School before attaining a Bachelor’s of Science degree in Sports Science & Physiology from the University of Leeds. In his spare time, Nick regularly plays Rugby, Football & Golf to keep active.